I bought my Lude almost 2 years ago with 165,000 miles for $3,500 (too bad mine's an automatic though). Best money I've ever spent. Highest mileage car I've ever owned, but easily the most dependable car I've ever owned. So I'd say no problem paying $3,300. Wow that is a steal! Whats this motor your talking about? Send pics as soon as you get them. $700 drop........something sounds fishy.. be very careful, check everything and ask a lot of questions. Make sure it idles smooth at 750ish RPM. Take it for a test drive. make sure it shifts smooth, there's no abnormal noises from the engine bay, and the brakes are smooth. if any CELs DO come up. Walk away. i tell you this from personal experience. -Look high & low around the motor for any fresh (leaked) oil. Also, make sure there's no rust bubbles under paint on quarter panels. The motor I am talking about came straight from japan and it is a H22A. Yeah I checked and the car runs great (I brought my pops to haha and he said it does) we checked for any oil dripping and we drove it about 1o minutes put gas in it with the seller and back home. The car was a bit dust but he said he didn't wash it because he didn't want to make it seem like he was kidding something. We looked around everything looks clean. Cahnges gears at the right moment and breaks are good. Thanks for the list of things to check! I'm going to print out all the stuff you told me to check because I did miss some stuff. Good thing we havent payed any money other than the tax ded for the change of name! II'm going to pick it up on friday so I''ll make sher to check all of that. AND thanks again! You definately need to inquire as to why he did that. Most people that do the swap is because they want the extra power, that car has probably been pushed pretty car if there are other various mods on it. Make sure he has proper documentation for the swap as well. I just want to point out that while checking the oil level is good, checking it again after a test drive won't tell you much, at least not the oil level. In preludes you must check them absolutely cold. Left sit overnight is best. 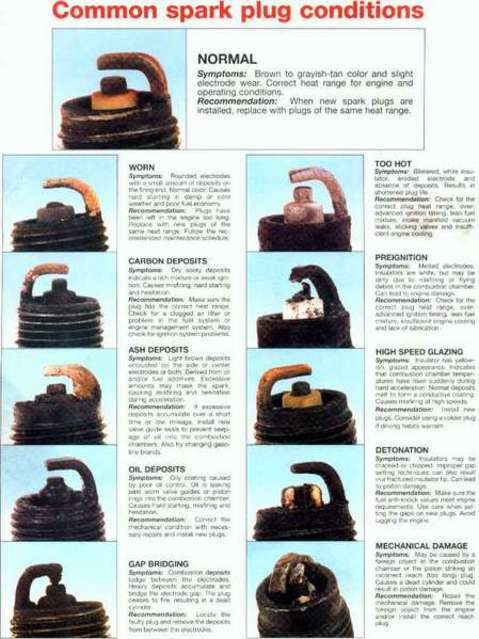 Otherwise a lot of the oil is up in the head/valves and such and will read lower than what it actually is. Therefor, if you check it cold and its at a good level, then take it for a 15 minute test drive and get it all hot and then check the oil again, it will read lower. Thats normal. Okay then, thanks for the great tips. 160k miles for $4,000 sounds ridiculous tbh...There's Ludes for sale in my state with less than 80k miles, and they sell for a little more than $5k; $6k+ if they have lots of goodies. They're later years too, like: '99, '00, '01. I bought it alraedy :O It runs fine for now atleast. Great buy in my opinion as I bought my 97 lude manual with 102k miles on it for $5600 but she is great condition. Good luck and have fun. I got my manual 99 Lude Type-SH for $3800 and it had 170km but the under body was near mint. Only thing I have to do is change the cracked windshield and fix the front bumper/replace it. For Canada, that's cheap. Nice, my windshield is cracked to but on the driver side so that's going to stay like that for awhile..
My crack started on the passenger side and it wasn't too bad but because of the winter here and my car going from hot to cold inside all the time, the crack expanded so far that it hit the end of the drivers side. Here's a pic. Dang man! Good thing it's not right in the middle though!